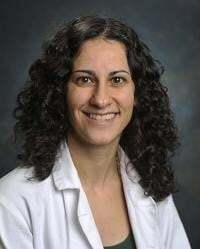 Dr. Yacoubian is an Associate Professor of Neurology and Parkinson Association of Alabama Scholar in Parkinson’s Research in the Division of Movement Disorders and Center for Neurodegeneration and Experimental Therapeutics. Dr. Yacoubian received her undergraduate degree from Harvard University and her MD and PhD degrees from Duke University School of Medicine. She completed her Neurology Residency at Massachusetts General Hospital/Brigham & Women’s Hospital. Prior to joining the UAB Neurology faculty, Dr. Yacoubian was a Research and Clinical Fellow in Movement Disorders at Harvard Medical School/Massachusetts General Hospital. She currently divides her time between patient care and laboratory research of Parkinson’s disease (PD). Dr. Yacoubian’s lab is focused on understanding the pathophysiology of PD with the long-term goal of developing neuroprotective therapies. The goal of this project is to test whether Rab27b regulates the cell-to-cell spread and toxicity of alpha-synuclein (αsyn), a key protein implicated in the neurodegenerative process in Parkinson’s disease. Development of effective therapies in PD depends on a clear understanding of the mechanisms underlying the loss of brain cells in PD, yet those mechanisms are poorly understood. One key protein that is central to PD is αsyn. Recent evidence suggests that αsyn can act like a “prion” protein: brain cells release aggregated αsyn, and this extracellular αsyn then causes misfolding and aggregation of αsyn in neighboring brain cells, thereby injuring the neighboring cells. Rab27b is a protein that can regulate protein secretion in the brain. We observed a twofold increase in Rab27b levels in cells that expressed high levels of αsyn and in human PD brains. We hypothesize that under conditions of elevated αsyn levels, neurons increase Rab27b expression to promote αsyn release from cells in an attempt to maintain cell balance. This release of αsyn may protect neurons by preventing the buildup of abnormal αsyn in the neurons that could disrupt normal neuronal function. We will test the impact of Rab27b in cellular models of αsyn spread. We will use knockdown and dominant negative methodologies to test if Rab27b affects αsyn release, clearance, aggregation and seeding in those models. If we show that Rab27b regulates the spread and toxicity of αsyn, then our studies will point to Rab27b as a potential target for therapeutics in PD.